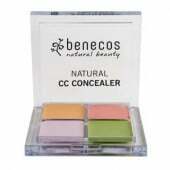 Benecos - Germany's Fastest Growing Natural Cosmetics Brand! 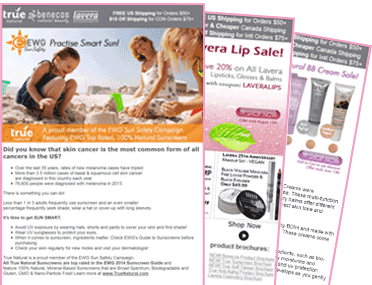 Lavera Naturkosmetik - Let Your Nature Shine! This gentle hydrating cream firms and reconstructs the delicate skin around the eye area. 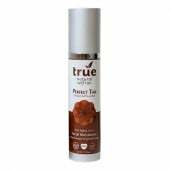 Signs of fatigue, crow’s feet and fine lines are noticeably reduced. Formulated with MÁDARA’s proprietary CELL REPAIR BIO-COMPLEX and rejuvenating Northern Birch juice. Unique formula based on rejuvenating Northern Birch juice with 0% added water. Birch juice is a revolutionary fluid proven to reduce all key signs of visible aging. 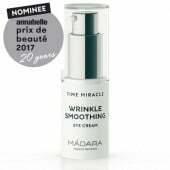 Features MÁDARA’s proprietary CELL REPAIR BIO-COMPLEX that directly targets collagen formation, supports lifting and protects against free radicals. KEY INGREDIENTS: The innovative age-defying formulation is based on rejuvenating northern birch water, proprietary cell repair bio-complex, collagen boosting and smoothing hyaluronic acid, nutritious oils and vitamins. How To Use: Apply to clean skin every morning and night. Formulated without: methylparaben, butylparaben, ethylparaben, propylparaben, dimethicone, polymers, BHT, formaldehyde, synthetic fragrance, synthetic colors, mineral oil, petrolatum, triethanolamine, mercury, cadmium, and other heavy metals. © 2018. 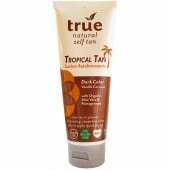 True Nature Group Inc. All Rights Reserved.